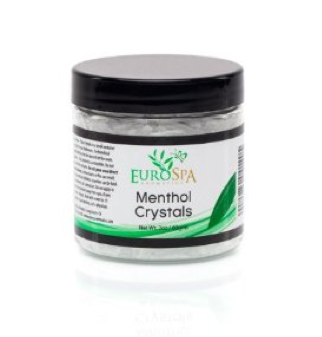 Eurospa Eucalyptus Oil Uses: 15 Powerful Ways Menthol Crystals Can Change the Quality of Your Life! Menthol Crystals are a diamond level cure for so many of your body's ailments and you deserve to know what they are. 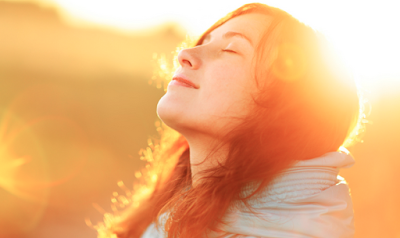 Do you suffer from muscle pain, allergies, skin conditions, emotional imbalance or respiratory challenges? The information below will show you just how well the power of menthol crystals works to support your body in it's natural process of healing. If you're ready to feel great, here are 15 powerful ways menthol crystals can change the quality of your life! Reduces itching when mixed with a carrier oil or aloe vera gel. Add menthol crystals to your favorite hair oil as a hair growth accelerator! Mix a small amount into the oil and massage on to the scalp before you shower, twice a week ! Adding menthol crystals to soap recipes can enhance your soap for any of menthol’s benefits. Just make sure the crystals are completely dissolved in the soaping oils and stirred well to reduce skin irritations. Menthol crystals can be used to alleviate nausea, especially when the nausea is due to motion sickness. This is because peppermint (which is used in making menthol crystals) is a natural carminative herb, meaning it can settle the digestive system. Homemade air fresheners are easy to make, using menthol crystals, as they leave a wonderfully minty scent without toxic ingredients. A natural Pesticide, you can use it in the garden around honeybee hives to deter tracheal mites, moths and other insects. Mix with after shave or witch hazel to relieve razor burn. Reduce fever by placing a very small amount on the forehead or bottom of the feet. Reduces inflammation from a soar throat when applied topically all around the neck. Can be applied directly to cuts, scrapes and bruises to reduce inflammation and irritation. 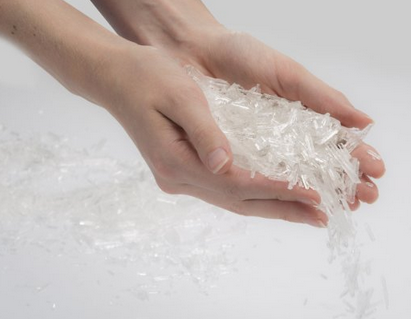 Burning menthol crystals is a great way to reduce the dust mites in your house. It also repels bugs of every kind - one whiff of this stuff and they run for their lives! Put a tablespoon or two in a wax burner and vaporize each room for an hour or two. DIY Vapor Rub: Many people love making their own vapor rub alternative that is more effective and made of safer ingredients with the same cooling/numbing feeling that also opens up the sinuses. Helps with the discomfort of tension headaches too. You can apply this mix over the temples, cheek bones, collarbone, and under the nose moments before sleep. Not only will it relax the tension but will also help with minor types of congestion. Due to it's strength, be sure to dilute the crystals in sweet almond, jajoba or other skin-friendly oil and keep away from the eyes! Sinus Clearing: When your sinuses are really stopped up, just the smallest amount in a little very hot water, will send vapors up into your sinus, clearing them and helping you breath. Just keep your eyes closed to protect them from any chill or sting. Used as aromatherapy, the scent can be used to provide relief of stress, anxiety and nervousness. Are you sold yet? It's hard not to be. Most people, after getting their own menthol crystal delivery, are so happy about it and wonder what took them so long! We at Eurospa, believe that all people have the right to good health and feel-good living, which is why we provide such high quality eucalyptus and menthol products, such as our eucalyptus oil shower spray and menthol crystals! We believe in your health. The next step is yours. Get menthol crystals today and see for yourself. Good day I hope you are doing well job, Ok We AOS products Indian Natural Oils Manufacturers deals today large amount of Menthol Crystals at very best prices. We offer pure and 100% organic essential oils, Spice Oil, Pine oil and Oleoresin oil thanks a lot. SVA Organics is one of the top Essential Oils Supplier In India that provides 100 % pure and effective natural oils at affordable prices.